Being in the right place is key to enjoying your first skiing adventure. In an ideal world, you’ll be staying at a resort with plenty of beginner, or 'green', runs. We're not saying you necessarily need to have direct access to them, but you really need to make sure you’re within an easy distance of them at the very least. If you end up somewhere with only advanced slopes you’ve no hope of effective initial training and you’ll end up quitting before you really get the hang of it. Another thing to consider is how massively the temperature fluctuates according to altitude. For those of you who prefer a milder climate, consider a resort that’s a bit lower down – this could affect the temperature dramatically. Altitude also affects the reliability of the powder though; those 'snow-sure' resorts are usually the higher ones and worth considering if you're planning to ski towards the end of the season. 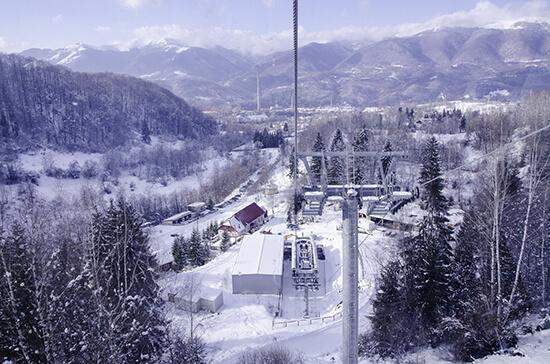 Generally speaking the ski season runs from November to mid/late April in the northern hemisphere, although this varies slightly by country and resort. It's also worth noting that when you go will affect the price, European resorts tend to get cheaper from March but the snow also becomes much less reliable, so you’ll be forced up the mountains to secure your skiing fix. On the plus side, as the season heads in to spring the days get longer and the lifts will run longer, allowing more time to indulge in all the après-ski activities taking place all around you. Good equipment usually means you'll have a good time; conversely bad equipment = a bad time. So if your boots don’t fit properly or your skis are terrible quality it's likely you’re going to struggle with the basics. 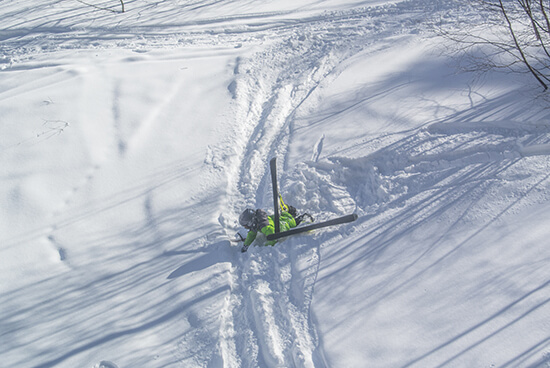 Even the most headstrong of us might give up and abandon the slopes early. As this is your first time, please borrow, don't buy. Ski equipment – good ski equipment – is an expensive investment, especially if you end the holiday realising that maybe it wasn’t for you after all. Take your time making sure your boots fit well and if, at the end of the day, your feet are in agony, take them back to the hire shop and swap them. They will feel strange at first, but they shouldn’t cause you pain. Make sure you’re renting for your skill level too, as different skis work best for different slopes. A decent company will be able to set you up with all the gear you need to be safe and happy. Be sure to get a hold of some goggles for the trip too, either buy a pair or make sure they're included with the equipment you're renting. The light reflects very brightly off the snow and can make it almost impossible to see where you’re going if you’re without eyewear. It also adds an extra layer of face protection, should you fall. And, while we’re on the topic of sun protection, do pack some sun cream – no one wants to spend the day feeling cold and come home with sunburn on their face. Invest in professional lessons – don’t just rely on more experienced friends to show you the ropes. In all likelihood, no matter how much you love them and they you, your friends will probably get bored quickly and encourage you to do things you’re not ready for which, at best, won’t be any fun and, at worst, could lead to someone getting hurt. Private tuition is great, if a bit expensive, and can help you progress quicker, but group lessons are a more affordable alternative that are ideal and fun if travelling with inexperienced friends. Lots of ski schools will have several groups running at once which means you might be able to move between groups if your skill develops quickly. It’s called après-ski for a reason, there’s plenty to do after all the skiing is done. Like everything else this will vary slightly depending on your resort and location. It’s almost guaranteed that you’re going to be within easy access of restaurants and bars so you can eat and drink to your heart's content. Many of them also boast music venues – both the kind for dancing and the more laid-back variety. If it turns out that, even after all your lessons and a few days’ solid trying, skiing is not for you then don’t worry, most places offer additional day activities too. 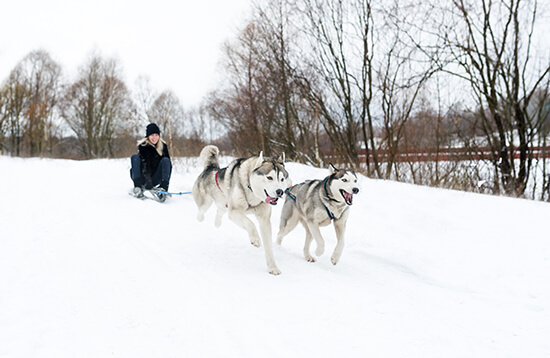 These range from snowy mountain walks, husky sledding and pony rides to rejuvenating from all the activity in the spa and sauna, or even just cuddling up around a fire with something warm and chocolatey. You’re going to fall down, probably a lot. But don’t worry, the snow is soft and it (probably) won’t hurt. Plus, you’ll be wrapped up nice and warm in your thermals, and you won’t be the only one on the floor. All your friends will take a tumble too and, if nothing else, it’ll give you something to laugh about over dinner. Ski boots can take some time to get used to, they don’t feel like normal shoes and can be a bit awkward to walk in. Be prepared for it to take you a little longer to get places than it would normally. Lastly, try not to be intimidated by other skiers around you. When you’re just starting out you’ll be on a beginner’s slope, taking things nice and slow as you should be, and it can be annoying to see people soaring confidently past you. But just remember that they’ve done this before, probably multiple times, and if you make a number of return visits you’ll be the one whizzing around and putting people off their stride. 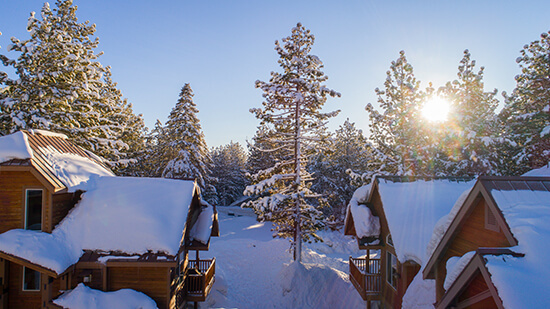 Canada, Europe or the USA – wherever you want to ski, our Travel Experts can create a tailor-made holiday to suit you. Make an appointment today and we'll do all the legwork for you.